You will definitely not feel good to see your child suffering from oral problems because the level of discomfort can be immense in several cases. Talking about teeth sensitivity, it causes a lot of pain and restrains your little one from eating anything too hot or cold. Children often don’t express what they are going through. Thus, your child might say no to brushing due to sensitive teeth as it could escalate the severity of the condition. Don’t force them to brush during such times, rather ask what is the exact problem and they might let you know about it. Read what causes child’s tooth decay and know how to prevent it with these simple steps. Here are some common causes of tooth sensitivity in children. Proper brushing techniques must be developed from an early age to prevent dental problems. The tooth’s enamel wears off due to vigorous brushing which causes sensitive teeth. So, keep a check on how your child is brushing, also make sure your little one is using a soft-bristled toothbrush and a fluoride toothpaste. 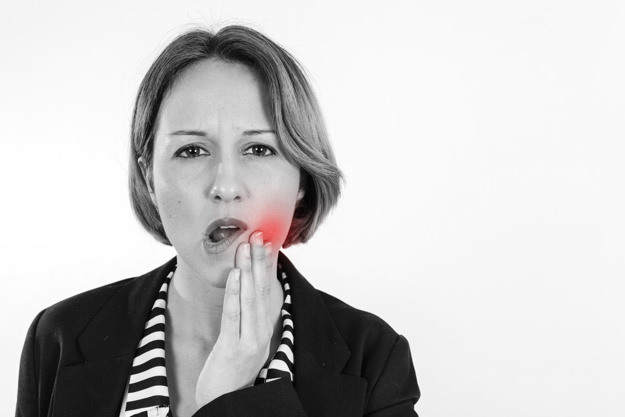 Bruxism is one of the most common reasons for tooth sensitivity. Teeth grinding causes tiny cracks in the enamel which eventually exposes the dentin and leads to sensitivity. Grinding can also give rise to other dental problems, thus, take your child to a dentist if bruxism has become a major problem. Keeping it untreated can escalate the severity of the condition. Maintaining a proper oral hygiene plays a huge role in preventing dental issues. Your little one’s teeth can get damaged and tiny holes could develop in them if they don’t brush and floss twice a day. Dental cavities also lead to sensitive teeth which can be very painful and discomforting. Therefore, incorporating good oral habits in your kid is very essential. The permanent teeth start to grow once the baby teeth fall out and your child can feel a sensation of sensitivity during that time. It takes time for the new teeth to adjust to the air exposure, hence the sensitivity takes place. Several microscopic channels reach the center of the tooth through the dentin and once it is exposed, consuming anything hot or cold creates a tingling sensation. Bring your little one at our dental office today if tooth sensitivity is restraining the kid from eating certain foods. Give us a call @(708) 794-9526.